Diane has drawn my attention on an interview conducted by Alessandra Stoppa with Vittorio Messori published in the Italian Rivista internazionale di communione e liberazione and partly translated into English in Medjugorje Today. I thank her for that reference which I would like to comment openly. Your insights are welcome after you take a look at the referenced documents and at my own interpretation of the dilemma. 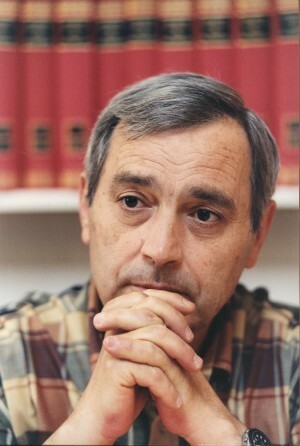 That interview was triggered by the publication of Messori’s own article on his website and in the Corriere della Sera on June 22nd, 2011: “Quei dialoghi con la Madonna: Il dilemma di Medjugorje”. “One of our criteria is to separate the aspect of the true or presumed ‘supernaturality’ of the apparition from that of its spiritual fruits. The pilgrimages of ancient Christianity were often concentrated on places with respect to which our modern critical spirit would be horrified as to the ‘scientific truth’ of the tradition bound up with them. This does not detract from the fact that those pilgrimages were fruitful, beneficial, rich in blessings and important for the life of the Christian people. “vitality” or “hypercriticism”, “fruits” or “truth”. It appears that Cardinal Ratzinger was more appreciating the “vitality” than the “modern hypercriticism” in that short paragraph. 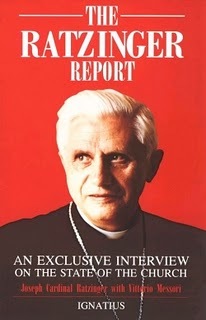 But I remember that Cardinal Ratzinger confided the dossier of Medjugorje to the Yugoslavian Bishops Conference one year after The Ratzinger Report. Let us examine how it did happen. 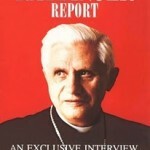 The next lines will help the reader to have a better understanding of the important decision made by Cardinal Ratzinger and of its consequences, at a junction point of several constraints that have fed the so-called dilemma. What follows has been published 23 years ago… in The Hidden Side of Medjugorje, pp. 139-143. It appears that “history repeats itself”. In accordance with the canonical regulations which treat the matters of discernment of alleged apparitions and private revelations, the Diocesan Commission formed for that purpose by the Bishop of Mostar, the local Ordinary, investigated the events of Medjugorje. During the inquiry these events under investigation have appeared to go much beyond the limits of the diocese. Therefore, on the basis of the said regulations, it became fitting to continue the work at the level of the Bishops’ Conference, and thus to form a new Commission for that purpose. The Congregation for the Doctrine of the Faith has been informed about it. It has expressed its recognition of the Diocesan Commission’s work done under the responsibility of the local Ordinary, and it urged that that work be continued at the level of the National Conference of Bishops. Thus the Bishops Conference of Yugoslavia will form a Commission to continue the investigation of Medjugorje’s events. While waiting for the results of the Commission’s work and the Church’s verdict, let the Pastors and the faithful honour the practice of the usual prudence in such circumstances. For that reason, it is not permitted to organize either pilgrimages or other religious manifestations based on an alleged supernatural character attributed to Medjugorje’s events. * Marian devotion, legitimate and recommended by the Church, must be in accordance with the directives of the Magisterium, and especially the apostolic encyclical Marialis Cultus February 2, 1974 (cf. AAS, 66, 1974, p.113168). Apparently, the Commission formed by Bishop Zanic in 1982 has deliberately withdrawn from the case after three years of work, and has thus repudiated its findings. Apparently also, both co-signers of the press release, undoubtedly helped along by the Congregation for the Doctrine of the Faith, refer of course to canon laws which seem to speak for themselves. When a phenomenon of apparitions takes on international proportions, or when qualified groups from among the faithful demand Rome’s intervention, the Holy See itself assumes responsibility. First of all, from what Orazio Petrosillo alleges, did the Holy See wish to relieve Bishop Zanic totally of the responsibility which is his full right? 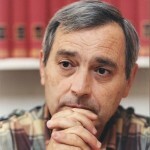 Did it appoint him co-chairman of the new Commission for fear that he might surrender to others his colossal and unfavorable to Medjugorje documentation? Did it wish to weaken his influence by watering it down in a national Conference where authority is shared? Did the Holy See bend under the enormous pressure of the propaganda and partisans of Medjugorje who, from the very beginning, accused Bishop Zanic of harboring an unfavorable bias and called for an international Commission? Why a new Commission at a time when Bishop Zanic announced that he was going to make public the unfavorable findings of the Mostar Episcopal Commission? As to the rules and directives of 1978, where do they come from? Why have they never been invoked before? Indeed, in the beginning, the Medjugorje case extended beyond the limits of the Mostar diocese and had an international scope. Wasn’t Bishop Zanic’s Commission open and independent enough with its members chosen from seven different dioceses, four different provinces and nine different theological faculties? These questions leave me perplexed. On the other hand, the transfer of the case has obvious advantages. It releases Bishop Zanic from making a decision which would have been onerous for him to bear alone, especially if it entails a negative verdict unpalatable to the Franciscans, especially considering the tense relations whose historical origin we already know. An eventual negative decision would be more easily defensible by an Episcopal Commission facing a government concerned with the drying up of revenues important to its faltering economy, and wary that such a decision might be construed as political interference. Beyond all these questions raised by the creation of this new Commission, there is an evident consequence: it undermines and contradicts Rome’s former positions. From now on, for the Medjugorje partisans, it is Rome who has removed the case entirely from Bishop Zanic. Since this announcement, the propaganda everywhere throughout the world openly claims that the Holy See has vanquished Bishop Zanic and his Commission. In July, 1986, Father Laurentin wrote that the threats which seem aimed at stifling or crushing Medjugorje, are suspended. In August, 1986, La Croix of Paris headlined: “Medjugorje: Rome Will Rule” and referred, like Father Laurentin, to the directives unknown until now. Afterward, although it had formerly denied it, Rome reasserted Bishop Zanic’s responsibility, and disapproved the pilgrimages, as we have seen in the previous section on supports for Bishop Zanic. It is nevertheless a fact that in January, 1987, a release appeared which muddled the whole situation. One can understand those who, despite the position of both Bishop Zanic and the Episcopal Commission of Mostar, no longer know what to think or who still harbour great hope about Medjugorje’s authenticity. In the name of prudence, Rome has persisted in delaying the final ruling from the very start. Whenever this ruling is scheduled, the Vatican makes a gesture which brings further delays and creates confusion. Are these deliberate politics? Does Rome nurse secret hopes? Is Rome really interested in having the truth known? […] This is far from supportive of those opposed to the pilgrimages before the facts of the alleged apparitions are gathered, examined and evaluated, as the Holy See asks. Could one allow the construction of a shrine on the basis of false data, which has in fact happened in the course of the Church’s history? Who should be blamed? Thus, a quarter of a century after Cardinal Ratzinger’s decision, the “Holy See’s tormenting dilemma” about Medjugorje seems to take shape. Thank you for your precision. As you have read, I made a “flashback” of what we have written in The Hidden Side… 23 years ago. In previous articles, I have referred to your English translation here, there and there. As I will come back to the topic of the 1978 Norms and the interpretation of the non constat de supernaturalitate in part 2 of the “dilemma”, I will take the opportunity of your present intervention to situate your collaborative work with Kevin Symonds. As you rightly observe, Louis, the communique of Cdl. Kuharic and Bp. Zanic makes reference to the regulations of 1978 as if they were well-known, although the document was never published by the Vatican, and was unknown to the public. In 2010, I collaborated with Kevin Symonds and a colleague of his to produce an English translation of the whole document; this is on the internet at Kevin’s blog. be tested on their capacity to be obedient to legitimate Chuch Authority.